We understand that for any online business or rather businesses who wants to initiate and eventually develop a bespoke online presence through mobile app development, needs to have an app based on sturdy platform and robust framework. In such a situation, Ionic app development framework can provide an amazing push for enterprises, startups and large organizations by opting Ionic solutions which provide hybrid mobile development services. An Ionic development primarily concentrates on the front end of the mobile app development. Hence, it takes care of the look and feel of the app so as to deliver seamless User Interface and other UI interactions. We help you develop top-notch quality Ionic applications that are not only just focussing on the browser-based performance but also can enhance the User-Interface web view for operating systems. 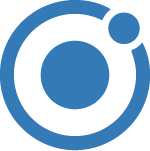 Ionic is completely free and open-source framework and helps to build powerful SDK with tools, resources and following services that makes hybrid development much more efficient. At Moon Technolabs, we believe in bringing your ideas to reality. We do that by transforming it into substantial entities and mixing it with right tech-components so that the resultant outcome will be a meaningful application. Furthermore, we are known to have unmatched experience and expertise in using the Ionic framework and hence our clients rely on us for their project development. with End-to-End Ionic development services. We craft our esoteric logical approach pertaining to the customized & personalized need requested by our valuable clients. Keeping top-notch quality parameters for years has turned into a habit now and hence, we absolutely like to lend our ears to shape your business plan/idea into reality apps that offer exceedingly well usability and great potential for your business processes. You can expect fully integrated and innovative Ionic development proposals from Moon Technolabs. Our attention is to encapsulate on the various & feature-rich Ionic platform to exponentially expand your presence to global targeted market and respective industry audience.